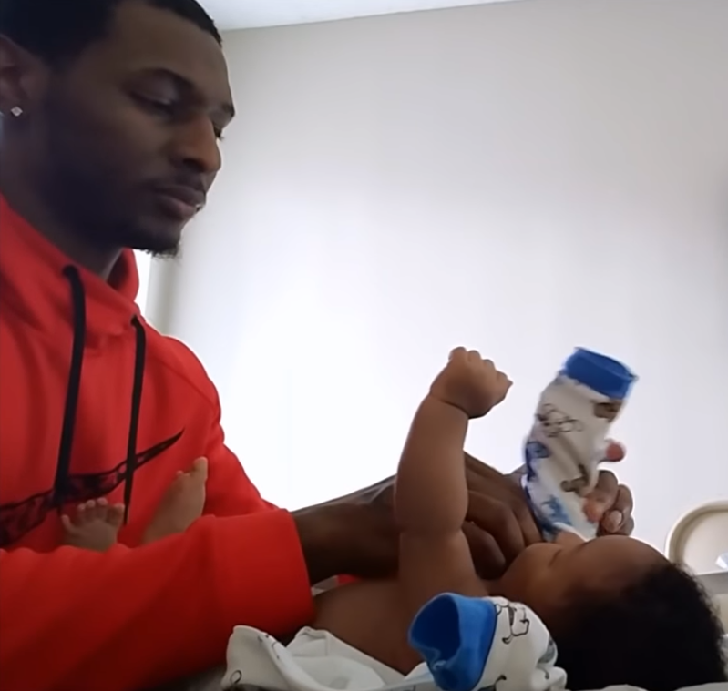 Many new fathers feel forgotten. When the woman was pregnant, everyone asked about her. Now everyone wants to know about the baby. Where does the partner fit in? New fathers may also feel that no one appreciates them. You feel tired, too. You have new things to worry about and new duties. You may be asked to do things that your own father did not do, like changing diapers, doing laundry, and getting up at night. As well, you have to go to work every day and earn a living! You are not alone. Most new fathers feel confused for a while. It is not easy, but it’s normal. You need strength and energy to take care of your partner and your baby. Eat well. Be active and stay fit. Help and support your partner. This may be a hard time for both of you. Remember that she has had the physical stress of pregnancy and childbirth. It takes time to recover. She needs your love and support. A new baby almost doubles the amount of housework to be done. You will need to do your share of the housework and take time to care for the baby. It’s easy to hide from your feelings, especially when they are not happy ones. If you feel tired, lonely, worried, or left out, tell your partner. Do not be surprised if she says that she feels the same way. Talk about it. Listen to her. Say what you feel. When both of you have your feelings in the open, you can begin to solve problems together. This is not always easy, but it is worth the effort. The more you offer, the more you get. Do your share of the daily work of looking after the baby. Try to spend time alone with your baby. Go for walks together. Give her a bath. Let her know who Daddy is. Accept that no one is perfect. You will make many mistakes. So will your partner. Don’t worry. This is how people learn to be parents. Face the fact that life will be different from now on. This doesn’t mean that it will be worse. Right now, it’s easy to focus on how hard it is to have a new baby. But it is not all bad. Your new life as a father will bring joy, pride and a deep sense of purpose. So relax and grow into your new life. Life will be different. But so will you.